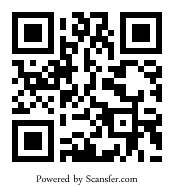 The Scansfer app for Android lets you send files, contacts, bookmarks or even money from your phone. Here are some guides to help you get started. If you don’t already have the app Click here to visit our page in the Android Market or scan the QR code below to install.